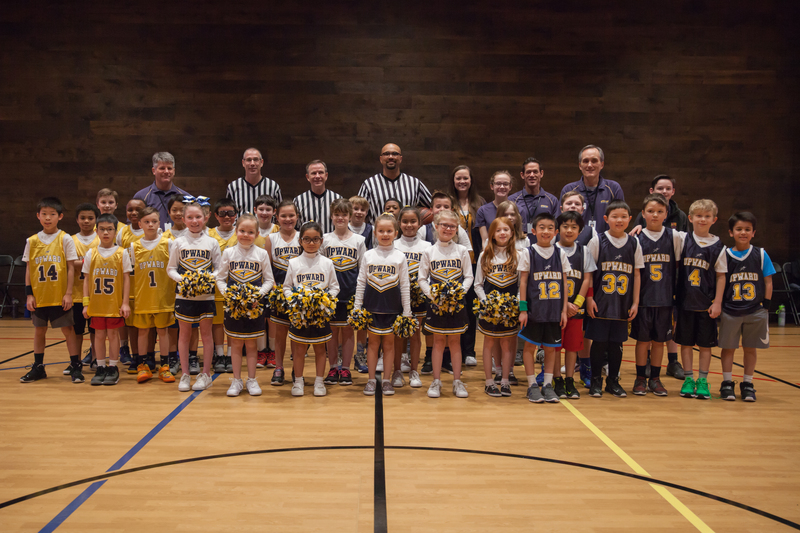 Friends, families and participants celebrated the 13th season of Upward basketball and cheerleading at a high-energy awards event on March 18 in Lindbergh High School’s auditorium, appropriately out in the community that the Lord would have us reach for Him. Nearly 70% of this year’s 359 participants did not attend Highlands Community Church and HCC’s families came out of the bleachers to welcome, love and build relationships with those from the community. Four basketball teams practiced each week at Highlands Elementary School, allowing more children to participate than any previous season. Parents appreciated all aspects of the ministry, particularly the Christ-centered focus and the encouragement children received from coaches, referees and concessions workers. Individual and small group prayer partners diligently lifted up teams in prayer before, during and after the season, fervently calling on the Lord to bring children and families to Him. Families were changed for eternity as children prayed with coaches to receive Jesus as Lord. Other parents, who had watched their children receive Christ in previous Upward seasons, gave their lives to the Lord at awards night! Overall, through seeds planted in multiple venues like worship services, Sunday KidsQuest classes, Awana, camps, retreats and at home, 29 adults and children followed the Holy Spirit’s prompting to pray to receive Christ as Savior. Another 11 recommitted their lives to the Lord. Huge thanks go to the over 120 Upward Team members – 40% who were new to the ministry this season who gave selflessly of their time, energies and talents during the 10-week season, as well as the entire HCC community for your prayers and encouragement of Upward participants. Relationships built on the court continue, as new families seek to find and follow Jesus at Highlands. All glory to the Lord for another life-changing season!